PALMAZ VINEYARDS is a family-owned and -operated gravity-flow, gravity-finish winery and historic estate at the southern end of Napa Valley. The property has been cultivated since the advent of Napa Valley’s wine-and-spirits industry in the 1860s — notably by Napa pioneer Henry Hagen, whose Cedar Knoll Vineyards, winery and distillery was there from 1881 to 1895. The Palmaz family’s take on wine stems from their belief that science perfectly complements the traditions of viticulture and winemaking — a conviction upheld with every bottle of world-class Palmaz wine. The estate comprises 610 sustainable acres; the vineyards — 15 terroirs planted at three elevations: 400, 1,200 and 1,400 feet above sea level — are spread over 64 acres of diverse terrain that yields complex wines. The estate’s centerpiece is the Cave, an 18-story, 100,000-square-foot subterranean winery that required seven years to complete. 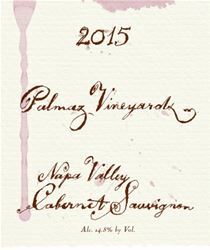 There, the family combines the latest technology with time-honored craftsmanship to make, among much else, their signature Palmaz Cabernet Sauvignon. Families are welcome to bring their children on tours and tastings. Palmaz Vineyards conducts private tour and tastings by appointment only Monday through Saturday. The tour consists of a walk through of several levels of the cave where we show how our wines are made using gravity-flow winemaking methods. Then guests will join us for a tasting where three winery-only white wines and three vintages of the Palmaz Vineyards Cabernet Sauvignon are featured and paired with hors d’ oeuvres. All tours are lead by a member of the Palmaz family and are subject to availability. There is a charge of $80 per person for small groups; and for groups of 12 or more the charge is $95 per person. Please allow for at least two hours for your visit. For reservations, please call 707-226-5587 or email contactus@palmazvineyards.com for more information. View from Tasting Room: A spectacular view looking down onto the Napa Valley from the eastern hills. Mt Tamilpais to Mt St Helena in view. Wine Education: Each tour is pivatly conducted showing how the grapes are grown in the vineyards to a detailed tour of the gravity flow and gravity finish winery. Every tour can be tailored to focus on your interests. Food Available: Each wine is paired with hors d' oeuvres and cheeses featuring the local vendors of the Oxbow Farmers market. To join the wine club, visit www.palmazvineyards.com or call 707-226-5587.